Despite being zipped into a giant thermal romper, a faint chill creeps across my flesh. Even an inch of padding can’t completely keep out the cold when you’re lying on metre-thick ice. But a few shivers won’t dent my zen. 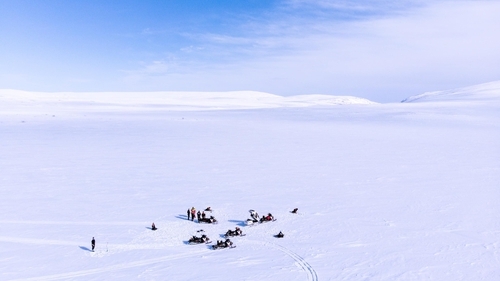 Forget palm-lined yoga retreats and pricey spas, I’ve just discovered the ultimate holiday mindfulness belly-down on a frozen lake in the heart of northern Sweden’s Jämtland Härjedalen region, face planted in a freshly-drilled hole, fishing rod in hand. There’s a steaming cup of coffee at my side, brewed moments earlier above a teeny-tiny bonfire with wood collected en route, and but for the occasional crunch of snowflakes compressing when I fidget, it is soul-strokingly silent. Relaxation isn’t the prime purpose of my trip; it’s the food I’ve really come to explore – an exciting blend of old and new that’s really putting the region’s cuisine on the map right now. I’d flown into Åre Östersund Airport the previous day, before driving a little over an hour to Buustamons Fjällgård, a cabin hotel and restaurant that’s home to one of Sweden’s smallest distilleries – and basically everything winter wonderland dreams are made of. I’m embarrassed to admit, I’d always imagined Sweden as a land of pristine, pricey cities, full of Scandi-chic apartments and Ikea stores. In fact, Sweden is 96% wilderness – and you’d be hard pushed to find a better introduction to this than Buustamons, which started life as a coffee and waffle house for hikers in need of a shielded pit-stop (‘buusta’ is old Swedish for windshield). The business grew as, over recent decades, Åre evolved into one of Scandinavia’s most popular ski resorts. Although there’s plenty to do when the snow melts too; opportunities for hiking, cycling, paddle boarding, even wild swimming, make the region an outdoorsy types’ Mecca. 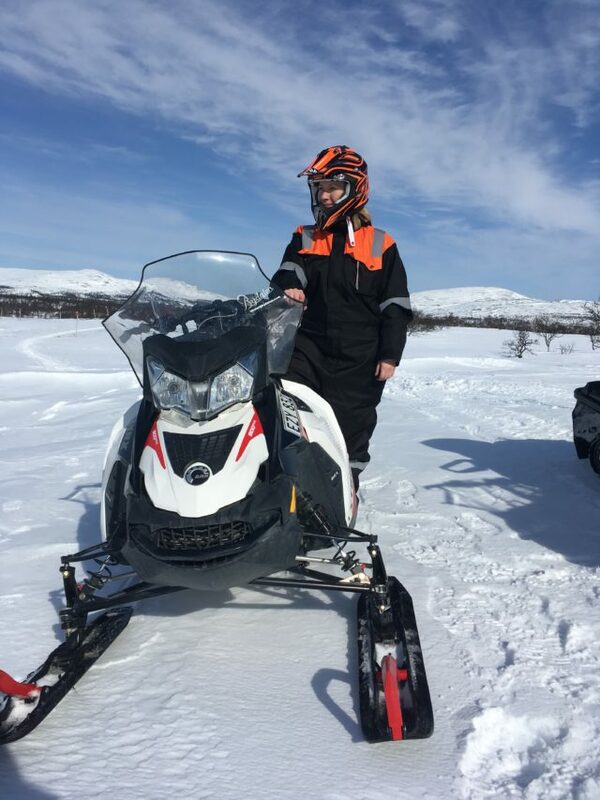 Nestled halfway up Åreskutan mountain, the final leg of our journey requires clambering into a snowcat (a truck on tank-style tracks). The snow’s so deep, it almost entirely obscures the timber-framed window in my room, but it’s business as usual, which for me and my companions, means a distillery tour. Buustamons’ schnapps is created with their own vodka, made from well-collected mountain water. Everything’s bottled by hand, and foraged herbs, spices and berries provide the flavours. Sweden’s booze laws are pretty strict, though. Getting a distillery licence is tricky – and selling rights even trickier. Buustamons’ drinks can be enjoyed on-site, but you can’t buy a bottle to take home. "The plus side," Mikalai – our host – notes, "is you know if you go to a wine shop or wherever, everything is artisan, probably local and great quality." ‘Great quality’, to be fair, is an understatement. Hospitality here feels like an art, and perfectionism isn’t a rare and remarkable trait – it’s a given. Take the 50-odd restaurants and bars that have set up in Åre – quite a concentration for a relatively small resort – almost all are impressively artisan and draw the crowds. There’s Åre Chokladfabrik (arechokladfabrik.se), a small but thriving chocolate factory started by three friends – Marie, Marina and Eva-Lena – in 1991. Everything’s produced on site (they make around 10 million pieces a year), using only fresh, local ingredients (try the soft goats’ cheese chocolate, or their bestselling cloudberry truffles) and not a drop of palm oil. One of the most exciting hang-outs right now is Krus, a pop-up a stone’s throw from the base of the chairlift, run by the team behind Fäviken – Sweden’s most famous fine-dining restaurant. There’s usually a year-long wait for a seat at Fäviken, but rocking up at Krus is a far more chilled affair. Your best bet is to head there for ‘fika’, the Swedish equivalent of elevenses, which generally means pastries, cake and a jolly nice chat (everything’s brought in from the Fäviken bakery, so it wouldn’t technically be wrong to say you ate Fäviken food). It’d be easy to assume a nation that favours daily pastries might have a weight problem, but Swedes are a fit bunch. The wilderness isn’t just their larder, it’s their playground. Getting to the frozen lake for my ice-fishing mission involves half an hour on a snowmobile, whizzing through forest trails and bouncing along snow-covered meadows in the foothills of the Oviken mountains that eventually open up into a dazzling moonscape, the lake stretching vast and stark beneath a brilliant blue sky. Once I’ve planted my face in that icy hole, it feels like there isn’t another living soul for miles. Unless you count the fish supposedly swimming around a metre below – not that any are interested in the maggot on the end of my line. Ice-fishing might be more about leisure than survival for most of us today, but for Sami people, it’s formed an essential part of putting dinner on the table for centuries. Sami are the indigenous folk of Sapmi-land, a cultural region that spans northern Sweden, Norway, Finland and a small sliver of northern Russia. Many are nomadic reindeer herders, guided by nature and her seasons for generations. But keeping traditions alive hasn’t always been easy. For Sami people, this has included maintaining hunting and fishing rights, and adequate control of the land they live off. In more recent decades, things have improved – and right now, with sustainability high on the agenda and our appetites for joyful simplicity ever growing, people are relishing their nature-respecting wisdom and nose-to-tail, don’t-waste-a-scrap philosophies. 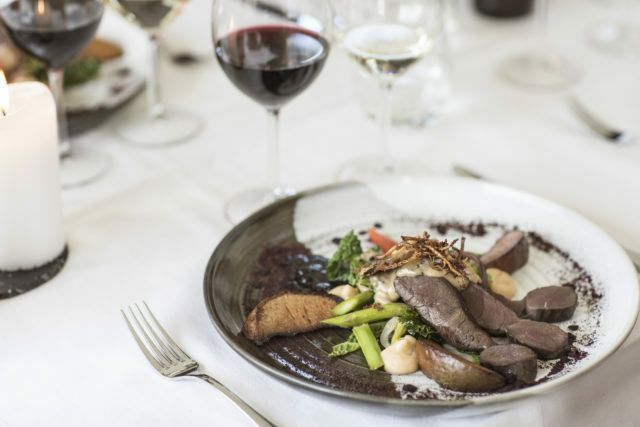 As already seen, these principles are a key ingredient across the region’s food scene – but perhaps nowhere is it more evident than at Hävvi i Glen, where we head for lunch after our fruitless ice-fishing attempt. 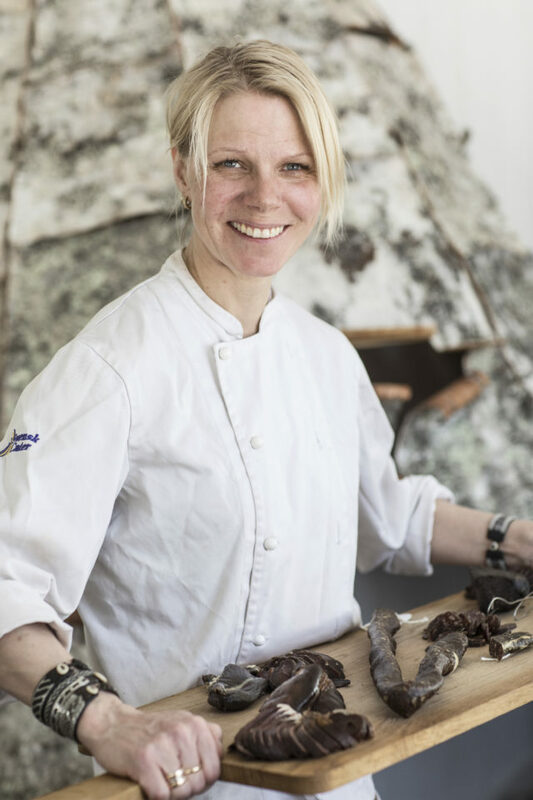 Chef Elaine Asp runs the restaurant with her husband Thomas, a Sami reindeer herder – and her dishes are a masterclass in how traditional techniques and fine dining can exquisitely combine. Not an iota is wasted, Elaine explains, as she serves up a platter of appetisers; smoked and cured moose and reindeer tongue, liver and heart, and elk bresaola. Roasted bone marrow, fried fish skin and cloudberries add depth and colour to a smoked mountain char starter, while atop our baked swede and suovas (dry-salted, fire-smoked meat) mains, sits a crispy-fried slice of elk nose (an elevated pork scratching, really). But food and sustainability here isn’t just about feeding visitors; it’s a community mainstay too. Each village, for instance, has a moose hunting team, and for one week of the year, everything shuts down while the hunt takes place. Limits are set for each region, but once butchered, frozen and prepared, it’ll last the season. Before heading home, I tuck into my first ever plate of roast moose; it’s one of the richest meats I’ve ever tasted, yet at the same time so mellow and soft. A fitting description, you could say, for the Jämtland Härjedalen food scene in general. Effortlessly brilliant and authentically simple, but boy does it pack a punch. 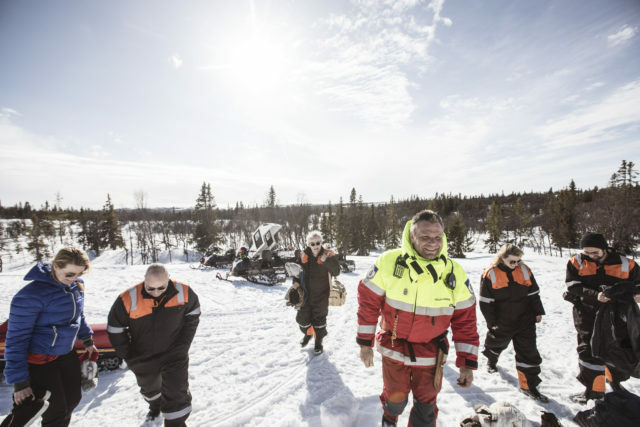 For more information on the region, visit visitsweden.com/jamtland-harjedalen and adventuresweden.com. For information about Buustamons Fjällgård, go to buustamonsfjallgard.se. For more information about Hävvi i Glen, visit havviiglen.se.